Your Company Name is a full-service jewelry store where most jewelry repairs are done in house. This enables us to do the work in a timely manner. Usually taking 2-3 days unless parts are needed. We repair silver, gold, and platinum jewelry. We cover everything from solder jobs, re-pronging, ring sizing, stone replacement, bead and pearl restringing. We have the ability of engraving on all kinds surfaces and objects. Our machine can handle simple plaques, the insides of rings, baby gifts, and numerous other items. We offer a wide selection of fonts and can handle 1 piece to bulk orders in a matter of days. Insurance replacement appraisals are offered everyday. 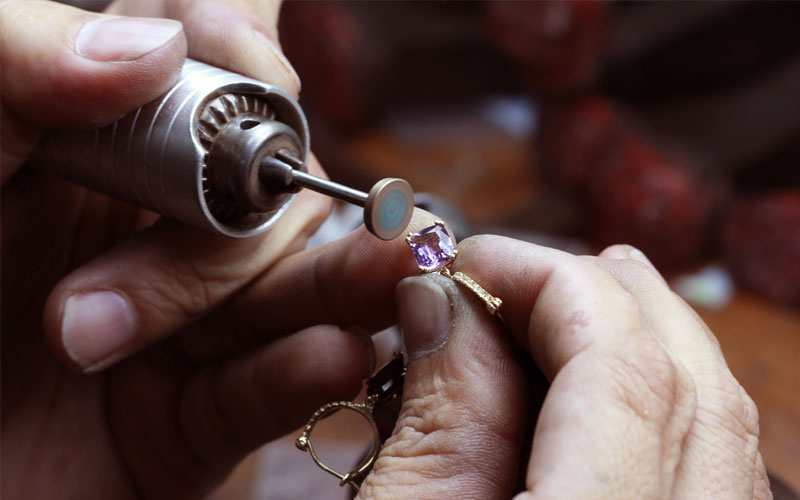 A certified Gemological Institute of America Gemologist will appraise your Jewelry. We will weigh, measure, grade, and photograph, each item and write an official appraisal. Watch battery replacement, watch band adjustment and other simple repairs are done on the premises. We also have watchmakers who are certified for high-end watches. Watch repair estimates are $5 and are applied to approved jobs. All work is guaranteed. We invite you to come in at any time to fill out one of our "Wish List Cards" with any of the items you desire from our store. We will keep the card on file to aid your loved ones when they come in to buy you that special gift. Here at Your Company Name, we can use 3-D computer Cad programs to turn ideas and drawings into 1 of a kind finished pieces. Are You Selling Gold, Platinum or Silver? Selling gold has never been easier. Gold has been going through the roof recently and now has never been a better time to sell your gold, silver or platinum. We buy gold necklaces, rings, bracelets, pendants, charms, chains and pretty much anything that has gold in it. We also buy Platinum and Silver. Your Company Name pays top dollar for your unwanted gold.